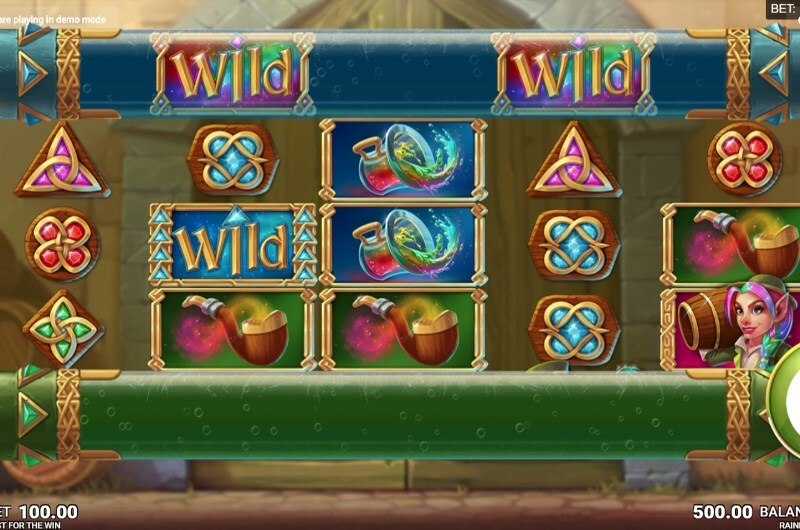 Rainbrew Slots may just be the new king of the Irish themed slot genre. And that's quite a statement when you consider games like Rainbow Riches. But Microgaming's new slot is a truly fantastic entrant into an overcrowded group of slots. We also finally know why leprechauns are flush 99% of the time. Developed by Just For The Win, the game is set in a magical brewery. In the background, we can spy a stone wall and what looks to be barrels of a strange brew. The leprechaun character has a chalice of the rainbow coloured liquid - and he is looking pretty rosy! In terms of design and theme - the slot impresses from the moment you start spinning. The soundtrack is also worthy of mention; you are sure to be tapping your feet to the Irish folk music. Before we go into the Rainbrew Slots bonus, we should address the game format. This is a "ways to win" slot - but not as you might know it. This is due to the slots unique reel design and the Sidewinder feature. Above and below the main reels, there are a set of horizontal reels. 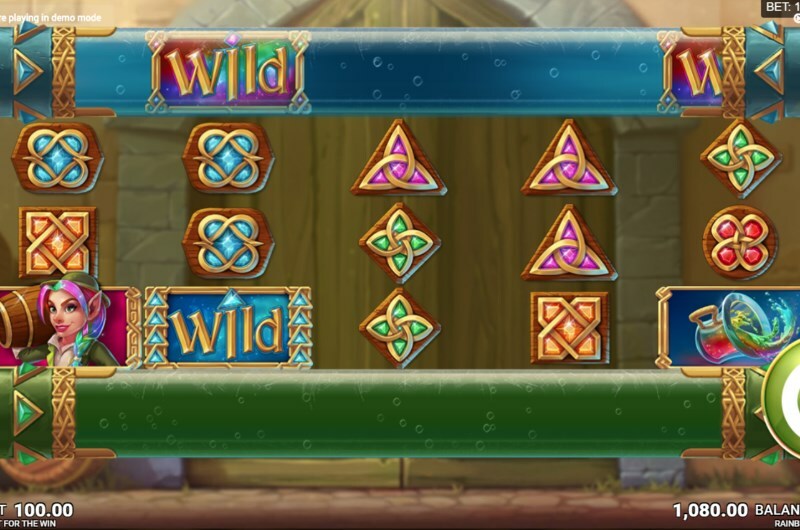 During the base game, the only symbols in these reels are wilds - but they will only activate if a corresponding wild falls onto the reels. The green Sidewinder reel, for example, will only start spinning when a green wild lands on the reels. This is also true of the blue reel and the blue wild symbol. When these horizontal reels activate, they effectively add another row to the game, increasing the number of ways to win up to 1125. Rainbrew slots also has a free spins feature - this will activate when a scatter symbol falls on reels 2 and 4. This will spin the Sidewinder reels - and if three more scatter symbols land, then free spins will activate. During free spins, both wild and scatter symbols will spin in the Sidewinder reels. This means you can look forward to more ways to win in free spins. If wilds align on each horizontal reel then the wild will expand to cover the entire reel. The game's biggest payouts are reserved for when all three central reels become wild. If you play Rainbrew Slots then get ready to be impressed. The Irish luck slot genre has been stale for quite some time. But Microgaming's newest entry is wonderfully refreshing. Unique features, excellent graphics and super sound - there's a new king of Irish slots! You can play this game right now on your mobile, tablet or PC device. For more information, read our full and definitive Rainbrew Slots review.